Today was kind of my first day getting on the field a little bit, moving around, and it was a good day. That [viral infection] really did push me back quite a bit. When it was all said and done, I lost around 15 pounds. I lost a lot of strength, so that probably pushed me back a week or a couple weeks. I'm feeling a lot better now. I'm getting my strength back and my weight back, so hopefully I can get back on the field. You've got to get back into baseball shape. But yeah, I still got some work to do, and I wish I knew when I would be back, and I know everybody else wishes too, but you just got to keep going in the right direction. 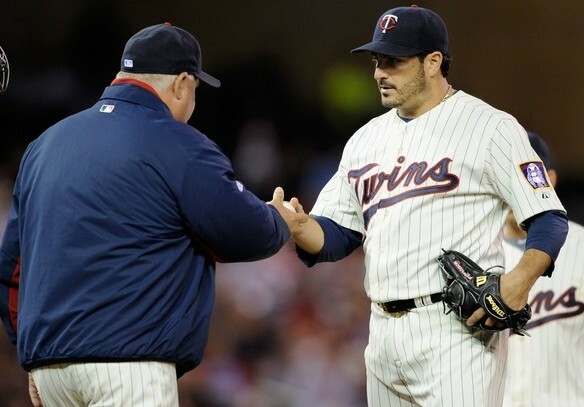 Mauer and Twins trainer Rick McWane have both admitted that he wasn't physically ready for Opening Day due to offseason knee surgery, but unsuccessfully played anyway until shutting it down after nine games. In his absence Drew Butera, Steve Holm, and Rene Rivera have hit a combined .102 with zero homers and a .136 slugging percentage. For comparison, National League pitchers have hit .133 with a .167 slugging percentage this season. Having two-fifths of the rotation on the lowest strikeout rate list isn't a good thing, particularly with a poor defense trying to turn all those balls in play into outs behind them, and Pavano's inability to miss bats is very worrisome six weeks into a two-year, $16.5 million deal. • Unfortunately throwing one of the least impressive no-hitters of all time didn't magically get Francisco Liriano back on track, as he allowed four runs before departing after three innings with the same illness that pushed the follow-up start back in the first place. Liriano now has a 7.07 ERA and more walks (27) than strikeouts (21) in 36 innings after posting a 3.62 ERA and 201-to-58 strikeout-to-walk ratio in 192 innings last year. What a mess. And then it hailed. 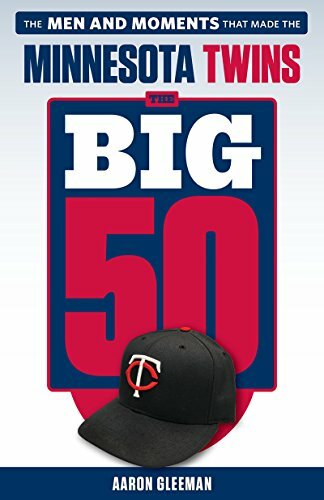 • Ranking dead last among AL teams in runs, batting average, on-base percentage, slugging percentage, homers, and walks is depressing enough, but Nick Nelson notes that the Twins have still managed to hit into the fourth-most double plays. Pretty hard to do with the fewest baserunners, but they've found a way. Overall they're on pace to score 505 runs after scoring 781 runs last season. Makes the removal of those trees in center field seem kind of silly, huh? • Jason Kubel deserves plenty of praise for continuing to thrive in the middle of an otherwise horrendous lineup. He hasn't driven in many runs because no one else can get on base, but Kubel is hitting .347/.400/.504 with three homers and 10 doubles in 34 games. Take out Kubel and the rest of the Twins' lineup has hit .216 with a .297 slugging percentage. Seriously. • Matt Tolbert has a .290 career on-base percentage, including .183 this year, yet yesterday was the 10th time in 34 games this season he's batted first or second in the Twins' lineup. And prior to Trevor Plouffe's hamstring injury Ron Gardenhire had him batting second despite a .306 career OBP in the minors. At this point I should be used to it, but Gardenhire ignoring OBP skills because he has it in his head that No. 2 hitters should be middle infielders is maddening. • Michael Cuddyer has hit just .267/.332/.406 in 189 games since the beginning of last year while earning around $12 million, yet when it comes to the local mainstream media you're far more likely to see him touted as team MVP than criticized for sub par production. Following the various Twins beat writers on Twitter provides an interesting glimpse into why Cuddyer rarely gets any heat from people who rely on him for quotes in an otherwise untalkative clubhouse. Wanna know why the Twins kept Cuddyer? Because he's a leader. Because he stands up and faces the music when they're struggling. Sets an example. How long can media go with just Cuddyer, Span, and the starting pitcher talking after games? Personality and media friendliness definitely impact how a player's performance gets portrayed and with Cuddyer serving as everyone's go-to quote his on-field struggles tend to be ignored. I'm not necessarily blaming reporters for taking that approach, since it's somewhat natural and I'd surely be guilty of doing the same to some degree if put in that position, but it's one reason why being an outsider with no access can be a positive thing for objective analysis. • Delmon Young went 4-for-5 in an extended spring training game yesterday and is aiming to come off the disabled list Friday, which would mean missing 19 games with a strained oblique muscle. Obviously the lineup is desperate for some help, but hopefully Young is fully recovered because oblique strains tend to linger. My guess is that Rene Tosoni heads back to Triple-A to make room for Young, if only because Ben Revere can back up Denard Span in center field. • Much has been made about the Twins' franchise-record $113 million payroll, which only adds to the frustration with their early struggles, but Michael Rand of the Minneapolis Star Tribune points out that they've basically gotten zero positive value from their five highest-paid players earning a total of $67 million in Mauer ($23 million), Justin Morneau ($15 million), Joe Nathan ($11.25 million), Cuddyer ($10.5 million), and Pavano ($8 million). Few potential candidates are more intriguing than Scott Ullger, who has been on the Twins' coaching staff since 1998 and is currently Ron Gardenhire's top lieutenant. Would the Twins let Ullger talk to the White Sox? Would Ullger want to? Yes, please. Talk about killing two birds with one stone. • Every time Jose Mijares allows a hit, let alone a run, my Twitter feed fills with people calling him names and acting as if he's the worst pitcher in Twins history, so just a reminder: Mijares has a 2.56 career ERA and .225 opponents' batting average. I realize fat people make for easy targets, literally and figuratively, but being overweight doesn't preclude someone from being good at their job. • Matt Capps didn't pitch in Monday night's extra-inning loss because there was never a "save situation." Last night he closed out a 10-2 loss. Modern closer usage is hilarious sometimes. 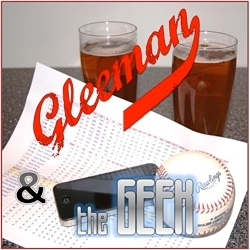 • Conor Glassey of Baseball America broke down the picks for next month's draft and the Twins have seven of the first 200 selections, including their own first rounder at No. 30 and a pair of compensatory picks at No. 50 and No. 55 for losing Type B free agents Orlando Hudson and Jesse Crain. They forfeited as many as four more compensatory picks for Matt Guerrier, Brian Fuentes, and Jon Rauch by not offering them arbitration. • Tsuyoshi Nishioka fracturing his fibula when Nick Swisher slid hard into second base raised questions about whether he was fully prepared for American baserunners aggressively trying to break up double plays after not having to account for that threat in Japan. As part of his ongoing rehab Joe Christensen of the Minneapolis Star Tribune reports that Nishioka may start working on double-play technique with former second baseman Paul Molitor in Fort Myers. • J.J. Hardy returned from the disabled list last night and homered for the Orioles. • All the Twins' injuries and subsequent call-ups from Triple-A have left Rochester with a very thin roster, so they signed 27-year-old Aaron Bates to a minor-league contract. Bates was the Red Sox's third-round pick in 2006 and briefly made it to the big leagues in 2009, but as a first baseman with a .230/.318/.344 line in 198 games at Triple-A he's little more than roster filler. Bates is, however, engaged to Lacey Wilson, the reigning Miss Massachusetts. • They also signed Deinys Suarez, a 27-year-old right-hander who defected from Cuba along with Yuniesky Maya in 2009. Maya and Suarez both threw in front of scouts in the Dominican Republic after defecting, but Maya got a $7.4 million deal from the Nationals and Suarez had to settle for a minor-league deal from the Twins two years later despite solid numbers in Cuba. • Pitching prospect David Bromberg underwent surgery to fix a broken forearm that involved inserting five screws to stabilize the injury suffered from a line drive. Bromberg ranked 13th on my list of Twins prospects coming into the year and prior to the injury he had a 3.63 ERA and 11-to-4 strikeout-to-walk ratio in 22 innings at Double-A. • Sad news about Paul Bargas, the 21-year-old reliever acquired from the Rockies this winter for Jose Morales. He was sent home from spring training with what was called a neurological condition and LaVelle E. Neal III of the Minneapolis Star Tribune reports that Bargas has been diagnosed with brain cancer.